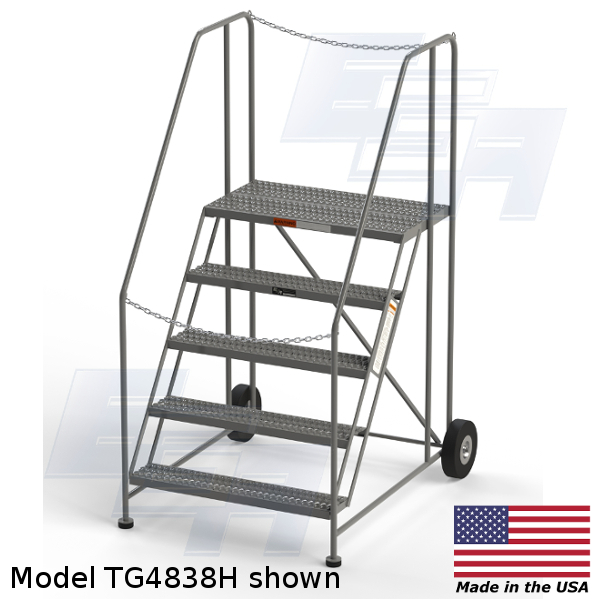 A rolling ladder built with a specific purpose and made in the USA. Intermodal containers and even some semi-truck trailers are loaded piece by piece from the ground up. Loading of this sort makes for a long hard day, even when workers have a dock available. But what happens when a dock isn’t available? 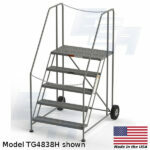 EGA Products is known for its rolling ladders. That reputation led to a customer need to be met in the form of a specific rolling ladder for unloading shipping containers. Ideal for retail and stand-alone facilities, this ladder offers “trailer jumpers” a much safer alternative. This Industrial Truck Ladder has a 55-degree angle and provides a deeper run which will allow workers the ability to ascend and descend more quickly. 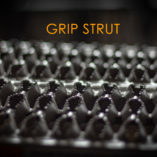 Rugged, 10-inch semi-pneumatic wheels enable easy transport over rough surfaces-just left the front bumpers and go. The ladder has a 450 lbs. 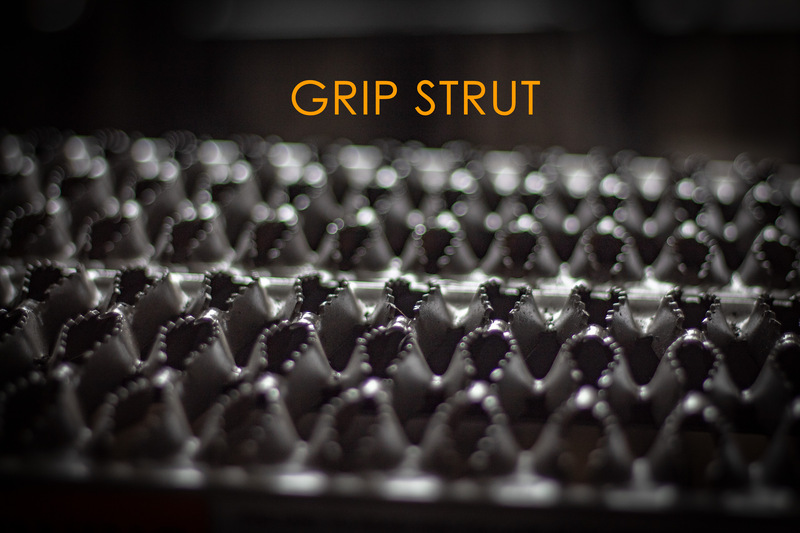 capacity, rigid 1″ diameter all welded steel tubular frame, and 10″ rear wheels that are well suited to roll easily over rugged surfaces (e.g., bar grating). 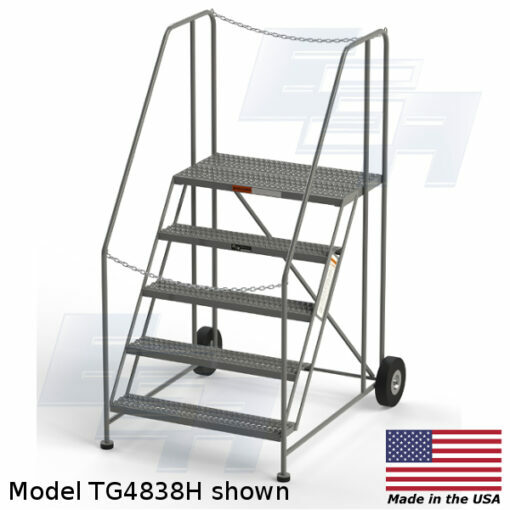 Osha compliant, this rolling ladder also features safety chain at both the top and bottom of ladder for added safety. The ladder’s maneuverability and lack of overall weight also makes it a safer option. Top step platform is 36″ W x 19″ D.